Choose places where you get the food hot and immediately off the grill. Drink only bottled water. Check that the seals on the bottles have not been broken. No ice. No salads. Peal all fruit yourself. Check any good travel guide for more tips on healthy eating on the country or area of interest. One time I got very sick in the Spain's Sierra Mountains on food I knew to be not properly cooked. I took Pepto Bismal tablets that allowed my body to get rid of the problem without getting too dehydrated. My first look at the Mediterranean Sea was cut short when I threw up over the railing I was standing in front of. Luckily I spewed onto a few innocent bushes lower down in front of me. See a local doctor if systems persist. Talk to your doctor before you go on your trip. Check your guidebook for more tips. Sometimes I would get sick without eating anything bad. This happened in France on with a great meal I knew to be properly cooked. I took a drug prescribed by my doctor, Lomotil. It's nicknamed, the chemical cork. It works for me. My symptoms went away in an hour. Other prescription drugs are available. 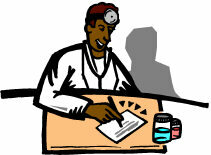 Check with your doctor before you go on your trip and get your own prescription. Disclaimer: Be sure to exercise good judgment on anything that you find out. After all it's your trip and your responsibility to confirm the currency and validity of all information found on this or any other website and on your trip.